John Robert Powers and one or two others are the big-chain players with IMTA; the rest are smaller. I view the IMTA as replacing the model pageant. Potential models get sponsored and trained by local schools for the IMTA event but not for real modeling. They go through regional, up to nationals in NY or LA, and, finally, they have an international competition somewhere. Each round costs the potential model thousands of dollars, and, of course, no IMTA winner has ever gone on to be a supermodel. My five-year-old daughter just auditioned with the Elizabeth Savage Talent Agency in Phoenix, Arizona, to attend the IMTA convention in California. We were told that many actresses, including Katie Holmes and Jessica Biel (I confirmed their attendance), have been discovered at this convention. We haven't heard yet if she will be chosen to attend this convention, but I'm already very leery about the whole thing. I've read that many parents paid over $5,000 just to get their kids in! While common sense tells me that this is a scam, I'm confused by the fact that two respectable actresses have been discovered at this convention. I've also read that any legit talent agency will not charge any fees for acting classes or head shots, and should always be licensed. Although the Elizabeth Savage Talent Agency did charge us $340 for acting classes, they are licensed according the BBB, and have a satisfactory record with them. At this point I don't know what to believe. Is there a chance that the Elizabeth Talent Agency is legit and my daughter could be "discovered" at the IMTA convention? I'm familiar with IMTA, but not so much with acting. Although many modeling agencies are also talent agencies, the focus of the Modeling Scams website is exclusively modeling. Apparently the two actresses you mentioned were found at IMTA. IMTA may have more value for acting than modeling. IMTA has been criticised for not screening models BEFORE parents pay using photos and charging wicked prices, running the most expensive conventions in America. If your daughter is "selected" by Savage but IMTA does not screen your daughter by sending a video of her acting to top agents who are supposed to attend the convention BEFORE you pay, you will have good reason to be very skeptical. Savage may recommend her to attend IMTA. That is nice. But if she is not one of the top agents who are going to be at IMTA, what is their opinion worth? Don't you think you need the professional opinion of someone who could sign her FIRST? If they charge $5,000 and have thousands of people attending their conventions, sooner or later they are going to find someone like J. Biel or K. Holmes. That proves they are not a total scam. But it does not prove they are not a scam. The basic issue is success rate. If they cannot tell you their success rate, why would you trust them? The success rate is the percentage of people who have attended and been signed (by reputable agencies). You have to wonder even before you ask them to tell you their success rate if there were only a very small percentage of people who were actually discovered. If it was so high, they would have already told you, right? If it was so high, they would have a money-back guarantee? Or if it was so high, they would not charge anyone until they were signed!? Unfortunately, the BBB record for IMTA does not provide full disclosure about their success rate. I have a problem with that. There are similar searches and conventions like Model Search America (MSA) and NYC Fame, which, even if they do not have high success rates, at least disclose their success rate. Besides the success rate of IMTA, you would want to ask the success rate for five year olds. It is all well and good that Biel and Holmes were discovered, but they weren't five years old when they were discovered, were they? How many five year olds were discovered at IMTA? The fact is there is not a lot of work for five year olds, as far as I know. Spending $5,000 for a five-year-old to be discovered is aggressive parenting, in my opinion. At her age would it make more sense to audition for a specific part in response to a casting call, as opposed to showing up for an IMTA event, which is not a casting call for a specific part? In any case, see if you can get some input from a talent agency which is not affilated with, or biased towards, IMTA, or one which can tell you both sides. IMTA sounds like the most expensive option. You may want to shop around. I usually recommend starting with the cheapest solid options and working towards the most expensive opportunities. IMTA is the biggest [BLEEP] of them all. Don't do it. SAVE YOUR MONEY. Take the trip to NY or LA and book appointments to see agents on your own. It was the stupidist thing I ever did. It is the most stressful cattle call of them all, but it cost a fortune! The convention is a closed, big player insider event, so if you are with an independent agency (which we are), forget about it! Go on your own after ordering the listing book from Models Mart, and do your own investigating. This event is more like a very expensive pageant. With tons and tons (thousands) of people pushing and shoving —girls strutting like ordinary street walkers, with barely any clothes on —this was just awful for my little girl to see. What a horrible event —I couldn't wait to leave. Yes, my daughter made contacts, and got her "awards." So what? We could have done that by ourselves. She already has agents in one area of the country, but to meet the NY agents we should have gone on our own. They don't have time to talk and they can't stand to be there. None of them looked happy —and many were not even there! If you get a call back, you go to one of two rooms —with lines filling out the door —just to hand someone your picture, and then they say you have to live in NY or LA or be available to be there within a moment's notice! So if you aren't looking to relocate with absolutely no promises, contracts, etc... DON'T GO. It is the biggest [BLEEP] of them all —and they should be ashamed of themselves! I am 16. I was recruited in March 2002 at the mall by a scouting company called OTG. Someone approached me in the mall and flattered me, said that I have good height, I'm in propper proportion, I have nice skin, high cheek bones, etc., and gave me a card for a meeting. After rescheduling, I went to the meeting, where I was asked to come back for a personal 45-minute interview the following week. I went back the following week. They measured me and said I qualified for print, promotional, and teen acting. They required a $625 payment for a digital comp card on their site. Reluctantly my parents agreed, after hearing empty, money-hungry promises from the director of the company. From then on I was required to pay $20 a month to remain on the site. The site was supposed to "promote" me to modeling agencies all over the world. So far, after five months of payment, I have received five emails of auditions for liquor advertisements (even though OTG is well aware of the fact that I am a minor). Two of those five emails were repeated information about an "L.A. superstar search." May I ask in what way is that of assistance to me? Then another one was a free trip to Cancun. Again I ask how is my $725 being used? After weeks of useless garbage that wasn't getting me anywhere, I received a flyer in the mail for an audition to attend a convention with IMTA, International Modeling and Talent Association, in conjunction with a major modeling school franchise. What I would like to know is if this is another piece of useless garbage, or if I should take the opportunity. Looking at the fact that your website exists for issues of this type, I hope that you can help clarify some of this nonsense. Because at this point neither my parents nor I have any patience for this "talent/modeling" industry any more. OTG has the most extreme comp card website prices. IMTA has the most extreme convention prices. The modeling school may have the most extreme prices for their charm school. As far as I know, it charges more than $1,000. OTG charges at least $595 before the $20 monthly tax. IMTA charges at least $5,000. This is just to get in the door or on the website. They take the money even if the aspiring model gets no work. They get this money upfront. Neither OTG nor IMTA state their success rate. We don't know what percentage of models are signed by agencies after being in their showcase. One published news report by Fox news said OTG could not provide proof their members were getting signed by agencies. Neither OTG nor IMTA have a money-back guarantee. Once they are paid they will keep your money, even you are not signed, and get no paying work. Those who sign up with both OTG and IMTA are subject to highly questionable scouting and a huge conflict of interest. News reports suggest OTG signs up anyone who will pay a fee, which means their "scouting" is not scouting but recruiting. Recruiters are paid by the number of people they recruit. The "scouts" don't have or don't have to have industry experience, and they don't work as bookers at modeling or talent agencies, so they don't know what look clients want. The people who go to IMTA were not screened by photo by top agents before they paid $5,000. Try to avoid getting involved with modeling businesses which are not paid only by commissions. Otherwise you are taking all the financial risks. OTG and IMTA are the most expensive. Shop around! Find what is free or cheap. Like an open call at a reputable modeling agency. It is extremely easy to understand why modeling schools, OTG, and IMTA would be associated with each other! They all get money up front and lots of it. They have all figured out how to get the most money from aspiring models even if they fail to get them work. I have been reading most of the letters here and I am, to say the least, upset. Through John Robert Powers my daughter was "invited" to go to Paris, France, to the MIE (Modeling in Europe) Convention. We made the decision to do it with the foremost thought that it would be good experience and a great vacation for our family. It was both. Our problem is now she is being asked to go to New York (IMTA). We feel that it is time to stop spending our hard-earned money and try it on our own. My question is how do we do this without further "rip offs"? We are new to this and our daughter is very committed to her future. Any advice will be welcome. IMTA is the most expensive convention. There are letters about this convention on the site, which you may have already read. The last person who went and wrote said don't do it. A key issue she mentioned was location. Do you live in NY or LA? 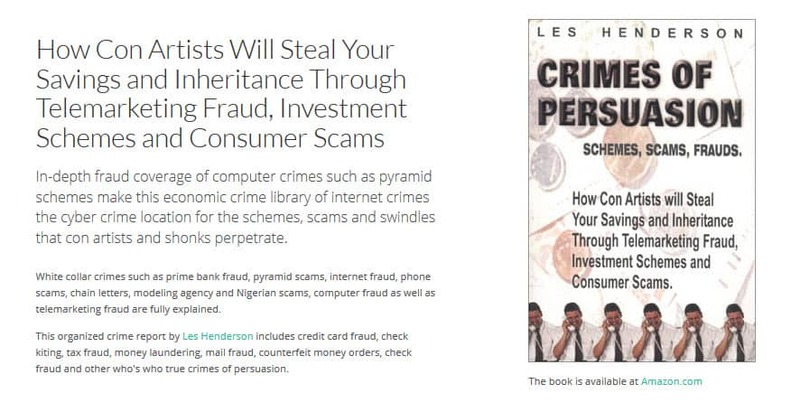 To avoid ripoffs, scams, etc., you can do it yourself. You don't need a convention. Can you easily visit top agencies? If you can, you should go to their free open calls. Or if you can't, you could call to confirm their measurement requirements and send pictures. Either one of these approaches (open calls, pics) will fit your stated goal to "stop spending our hard-earned money and try it on our own." If you are not in NY/LA, you can also try a local agency with a good rep. If your daughter gets signed with one, and she gets work in your city, the agency can promote her as a "mother agent" into larger markets (NY/LA). A convention is an expensive substitute for a competent agent. About a year ago, my daughter was "recruited" by a "modeling school". She signed up after an impressive presentation including a "Casting Director" from LA. Approximately 1/3 of the way through the "school," she was "invited" to an audition for IMTA, which was to be held in July 2002 in NYC. Needless to say, my daughter was accepted for the week for the meager sum of $4,500. Since she is my youngest daughter at 15, and in light of the recent NYC crisis, I had no intention of sending her alone. So the total cost for our trip came to $7,000. The details of the IMTA convention were very vague, as were the competitions in which my daughter would be allowed to compete. She was very interested in runway modeling, but it was not until after we had paid the deposit, and she had attended approximately four classes, that she was informed she was "too short" for runway, and would have to go for acting/commercial print. She never had any intention of, or interest in, acting. However, since we had already invested the deposit —non-refundable, of course —we had to continue. To make a long story short, she had a great time in NYC. Of course, what 15-year-old girl wouldn't, believing that she is on her way to be discovered and stardom? One other point, prior to leaving for NYC, another casting agent from LA, "Claire Sinclair," was brought to the school to prep the kids on their monologues. When we arrived in NYC, we found through other parents that our modeling school Director had arranged for Claire Sinclair to have some of her colleagues do a private audition for students whom she and the school director felt were "promising." Many of the kids were terribly hurt. Additionally, the director never even learned the names of most of the kids from his two schools who attended, only the favorites. These types of situations continued throughout the week. As for my daughter, she had a great time (although we could have also had a great time in any other city in the world for $7,000 for a week for two people). She did get two callbacks, and thus entered the famous "callback room," only to discover that if she stood inline for three hours, she might get to meet one agent. The few agents she met told her they would represent her if she came to LA, but otherwise find work in the Chicago market. We came back, hit the Chicago agents, she signed with four, and, to date, she has worked with one. We could have saved the $7,000 and she would have still received the commercial print job and had the same agents. I wish I had found your site earlier (last year). I think it's a great help to so many parents that get "sucked into" so many of these scams. As a follow-up... two of my daughter's friends moved to LA to work with agents. That was last July... They still haven't received any jobs; competition is intense, and they miss their families and friends. I hope that other parents realize how damaging this is on a family relationship. Additionally, do parents realize how many actors and actresses who live in LA are trying to get their friends, relatives, etc., jobs through their connections? Chances are kids without the connections won't have much luck. My suggestion is stay away from modeling schools like John Robert Powers (they actually are in some type of partnership with IMTA). Get good photos locally and contact the local agents. They don't care about the modeling schools, either.